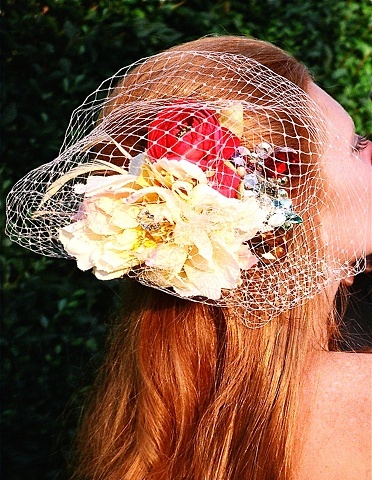 Made to order Bridal Head Gear! We will work to your specifications as far as color, size, Veil preference, additions of rhinestones, flowers and feathers. Each will have a clip to hold it in hair which will vary with the size & weight of the finished piece. We will provide you with a sketch before the piece is actually made. We guarantee your satisfaction or your money back, we like happy brides! Price depending on size & quality of materials, i.e. veils, rhinestones, flowers etc.